Darrell Grand Moultrie has established himself as one of America’s most diverse and sought-after choreographers and master teachers. A recipient of the Princess Grace Choreography Fellowship Award, he is one of the few choreographers simultaneously working in theatre, modern dance, ballet, and commercial dance.Most recently, Moultrie choreographed the world premiere of Sugar in Our Wounds at Manhattan Theatre Club directed by Saheem Ali. He has created and staged works for Colorado Ballet, Cincinnati Ballet, BalletMet Columbus, Ailey 2, Sacramento Ballet, Milwaukee Ballet, North Carolina Dance Theatre, Cleo Parker Robinson Dance Ensemble, Tulsa Ballet, Richmond Ballet, Smuin Ballet, Washington Ballet, and NBA Ballet in Japan. Moultrie was selected by Grammy Award winning artist Beyoncé as a choreographer on her recording breaking “Mrs. Carter Show” world tour. He also choreographed El Publico, a new opera at the world famous Teatro Real in Madrid, Spain directed by Robert Castro and conducted by Robert Heras-Casado. Darrell has taught and choreographed at many universities such as The Juilliard School, Ailey B.F.A., Point Park University, CalArts, New York University, Stanford University, Dartmouth College, and Boston Conservatory. On stage, he has worked with Tony Award winning director Diane Paulus, who tapped Moultrie to choreograph the world premiere musical Witness Uganda at American Repertory Theater. He also co-choreographed the Off Broadway musical Invisible Thread, choreographed Evita at Kansas City Repertory Theatre, and has collaborated with Tony Award-winning hoofer Savion Glover. As a performer, Moultrie was seen on Broadway in the original cast of the Tony Award Winning musical Billy Elliot, in the Tony Award Winning musical Hairspray, as well as Disney’s Aida. He also appeared in West Side Story at the world famous La Scala Opera House in Milan, Italy. Moultrie is a proud New Yorker, born and raised in Harlem, and a graduate of P.S. 144, Laguardia High School, and The Juilliard School. Joshua Manculich – born in Windber, PA – started dance at the age of fourteen. He had the pleasure of performing with Thodos Dance Chicago, Chicago Repertory Ballet, Pursuit Productions, Jaxon Movement Arts, Jessica Miller Tomlinson, and The Pillow Project. Brought up in a small-town, he is thankful for the numerous inspiring mentors and creative artists that guided his pursuits as a dancer, choreographer, and person. Josh’s choreographic work exists in conceptual frameworks, and his choreography has been toured internationally by DanceWorks Chicago, Eisenhower Dance, and The Ohio State University. In 2015, Josh was nominated for a Princess Grace Choreography Fellowship by The Big Muddy Dance Company for which he eventually created “Lyra” through support of the Princess Grace Foundation. 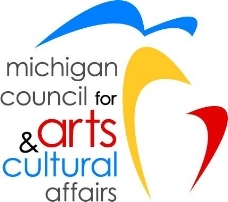 Other choreographic adventures include: Collage Dance Collective, Dancing in the Parks, Grand Valley State University, Interlochen, Metdance, Piel Morena Contemporary Dance, Thodos Dance Chicago, and Western Michigan University. He just recently joined the Department of Dance at Sam Houston State University. This year, he is also excited to be commissioned by Santa Barbara Dance Theater, The Big Muddy Dance Company, and his former home, Point Park University. Erik S Barry is a freelance Lighting Designer based in Chicago. Erik's designs have been seen at The John F. Kennedy Center for the Performing arts (DC), The Harris Theatre, Carnegie Hall (NYC), and the Detroit Music Hall. He is currently affiliated with Chicago based musical ensemble "eighth blackbird', as well the Chicago Gay Men's Chorus. His work has been received multiple Joseph Jefferson Award Nominations. He received his Masters of Fine Arts degree at the University of Wisconsin -Madison campus. He has designed over 60 productions in his career. Highlights include The Rocky Horror Show with The University of Wisconsin Madison, as well as The Fiddler on the Roof, Chicago, and Forever Plaid with the Summer Theatre in Meredith Village. Kerro Knox 3 is Associate Director of the new School of Music, Theatre and Dance at Oakland University where teaches lighting design and theatre history. He has designed scenery, costumes and lighting for numerous shows in his 20 years at Oakland. Kerro designs lighting regularly for Eisenhower Dance including tours to New York and Poland. With Take Root Dance Company he has gone to Korea and the bottom of the OU swimming pool. At Meadow Brook Theatre, he lit Angels in America: Millennium Approaches and And Then They Came for Me. He has also designed lighting for Stephanie Skura at The Joyce Theatre and Lincoln Center. He received his BA in American Studies from Yale College and his MFA in Technical Design and Production from the Yale School of Drama. He previously taught at Syracuse University and Stephen F. Austin State. Tina Tomicic is a designer and creator of apparel and accessories for men, women and children. She has held positions such as Design Manager at Proenza Schouler in New York City and most recently Technical Designer at the Detroit based brand Z Ballerini. With over a decade of experience in the fashion industry, she brings her deep passion and knowledge of design and function to Eisenhower Dance. Tina holds a BFA in Fiber Design from the College for Creative Studies.